Located in Cambridge city centre, along east road within a short walk from the Grafton Centre. Blood of Angels is a custom tattoo studio, offering both walk-ins and appointment based tattoos. 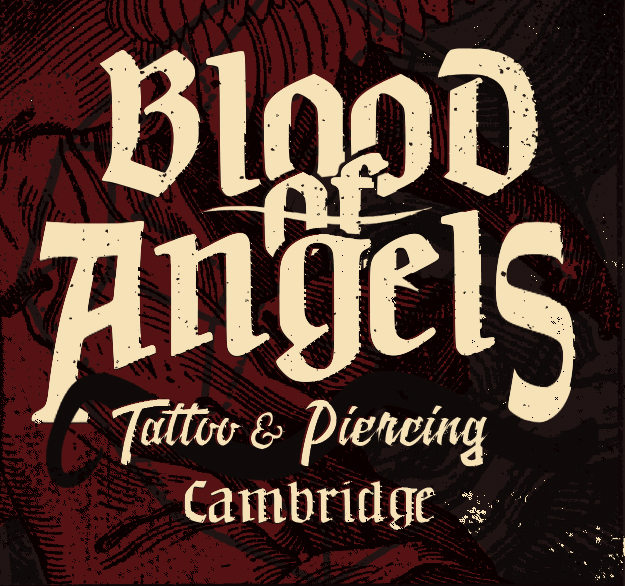 Blood of Angels also has a professional piercer, offering all standard piercings and even some more extreme body modifications. 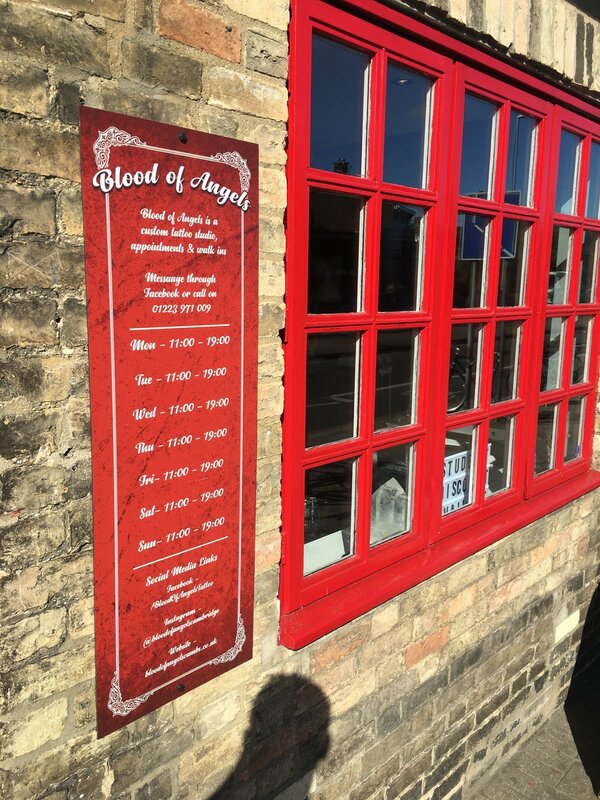 Blood of Angels went limited as of the 1st of July 2017, where the team was expanded and became a more diverse collection of staff. Jose 'Beren' Bejerano officially became our resident artist in January 2018 after being a loyal guest artist, with incredible colour and Neo-Traditional works in his arsenal. He constantly pushes his own limits, now working in Traditional, Dotwork and Black and Grey styles. The talented young Lieke Ketelaar then joined as a part-time resident, with an impressive portfolio of realism, mandalas, filigree and beautifully feminine custom designs. Combined with all the frequent guest artists, the studio offers an incredibly varied range of styles. The best way to get in touch with the studio is through Facebook /BloodOfAngelsTattoo, messages are check and responded to quickly. Please be prepared to send references of your tattoo, when enquiring about quotes. The team can also be reached through phone on 01223 971 009. Opening times may effect response time.